Information is power, or so they say. Data is the best kind of information, as it provides context. This report from Raconteur provides an introduction for the C-suite executive and insight into the revolution at the door of the insurance industry. Engagement is a major focus, and so it should be. Recent research from Consumer Intelligence with The Digital Insurer showed the UK insurance industry has a long way to go to improve customer engagement. Engaged customers create stickier business. Customers are increasingly demanding new kinds of policies that suit their lifestyles better. One example is the changing nature of ownership, with lease and rental becoming more prevalent. Consumers, in particular, millennials, lack assets. As a result, they want products that cover them only for the time an asset is in their possession or under their control, such as for a borrowed car. It is also helping customers insure correctly. The home cover is often woefully inadequate, but the use of video capture is providing data to give customers better cover. It will prevent underinsuring, but if you own fewer things, your cover will be cheaper. 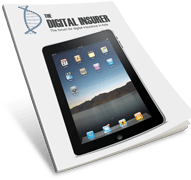 The use of mobile technology allows policyholders to amend their policy at the click of a button, encouraging engagement with the policy and the carrier. 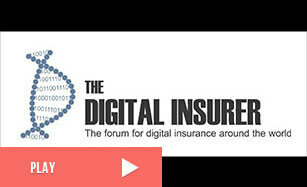 Of course, this data means insurers have a better understanding of risk and can help them to plot trends. Better understanding of risk gives consumers better cover, with many being offered advice about risks in their home as a result of data capture via the internet of things (IoT). Location services can also offer opportunities to take out cover based on where policyholders are travelling to. This hyper-personalisation is the process of bringing customers into the centre of an insurer’s processes in the hope of developing a symbiotic relationship that allows insurers to better manage risks while providing more relevant, better-tailored products to the market. Other topics covered in the report are blockchain, digitisation, the future of motor cover in the age of the driverless car, the search for talent and the use of artificial intelligence. There is also an opinion piece from The Digital Insurer’s own Hugh Terry on the need for insurers to adopt a digital-first business model. Cost is always the conversation starter when the topic is enterprise migration to the public cloud. This makes sense as public clouds, as a rule, offer about 30% hard-cost savings over the operation of private (i.e., on-premise) data centres.